CNA class for just $500.00. Daytime, Evening, and Weekend classes available. Indian tribes and Oklahoma workforce. Your Source for Healthcare Training. Classes Led by a licensed Instructors. Become Nationally Certified as Phlebotomist!! Enroll for Phlebotomy Technician classes at MTC today! Daytime, Evening and Weekend classes available. Enroll for CNA, CMA, HHA, MAT classes at MTC today! State Testing available for CNA, HHA, CMA. offered several days in a week at MTC ! Our CNA training program is a 2 week class composed of 77 hours. The CNA course is offered at our Oklahoma City Campus. This certified nurse assistant training program, is composed of class hours, skills lab hours, and clinical hours. MedNoc Certified Nurse Aide course is completed in 2 weeks or 4 weekends if you enroll on CNA weekend course. We offer flexible training schedule to meet our students’ needs. We offer 2 week CNA daytime class , 3 weeks CNA evening and 4 Weekend (Sat & Sun) . Our CNA training is a hands on program, that requires class, clinical and skills lab attendance. Strict attendance is required. Upon completion you will become a certified nurse assistant. Our Certified Home Health Aide (CHHA) is a 2 day class composed of 16 hours HHA training. This HHA course is tailored to meet the Oklahoma Home Health Aide training requirements and needs to all students who want to become Certified Home Health Aide in Oklahoma, and work as Home Health Aides in Home Health Agency. 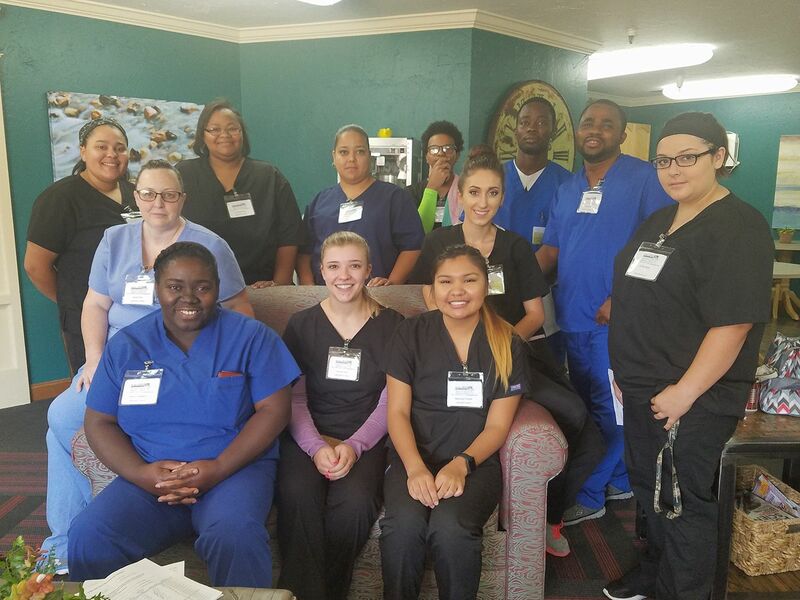 MedNoc HHA program offers classes every week on two consecutive days at our Oklahoma City Campus. 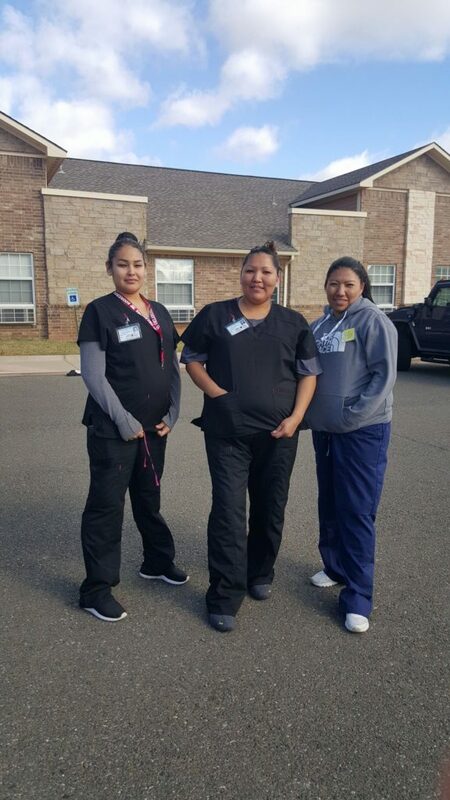 To enroll in our Home Health Aide training program, you must already be certified as a CNA or enrolled in our Certified Nurse Aide training program to allow deeming hours from Long-Term Aide to Home Health Aide as required in Oklahoma. 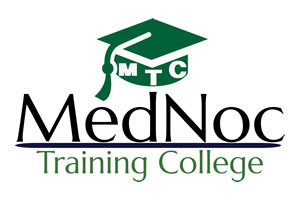 Medication Administration Technician (MAT) class at MedNoc is a 2 day course composed of 16 hours of training. Our MAT program is offered at our Oklahoma City campus. This MAT course is approved by Department of Human Services (DHS) under the Developmental Disabilities Services (DDS). The initial MAT training must be 16 hours in length, and must be renewed annually by attending a 8 hour update course. As a certified MAT in Oklahoma, you can work and pass medications in Assisted Living, Group Homes, and homes for Disabled people. The MAT certification does not give the holder authority to work in a Long-Term Care facility such as Nursing. The MAT course must be completed on 2 consecutive days. Our Phlebotomy program is a 178 clock hours composing of Phlebotomy class work, Phlebotomy lab skills and Phlebotomy clinical learning. 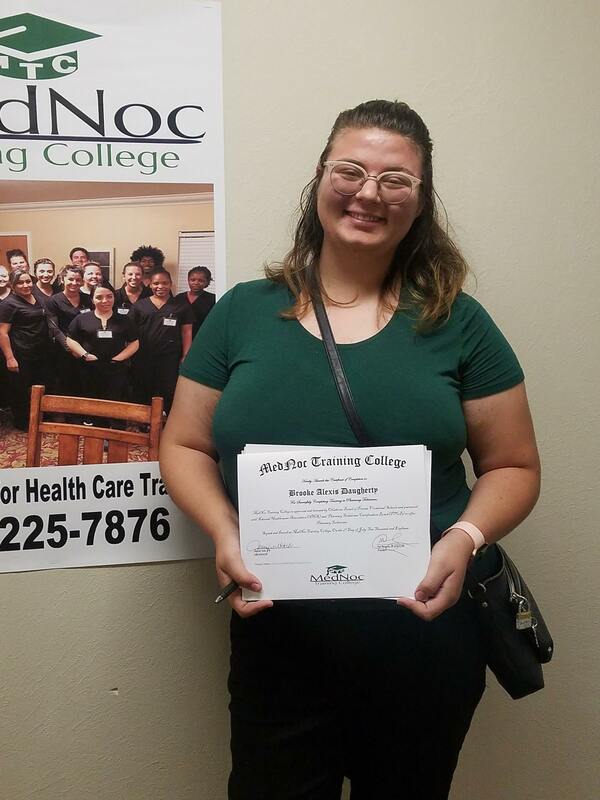 This Phlebotomy day class is a 5 week training course offered Monday to Friday, the Phlebotomy evening class 7 weeks and the Phlebotomy weekend class is 7 weekends. The phlebotomy course is structured and requires strict attendance. This Phlebotomy class is offered here in our Oklahoma City Campus. After completing the Phlebotomy training program at MedNoc Training College, you will be able to take National Examination to be become a certified Phlebotomist, after you must pass the national certification board exam offered through National Healthcareer Association. CMA training program at MedNoc is a 50 hour course. CMA Day class completed in 1 week , CMA evening class 2 weeks, and weekend CMA class is 3 weekends offered in Oklahoma city. 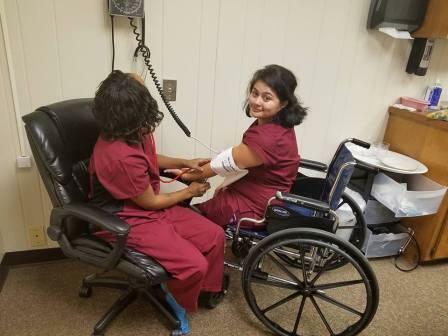 The Certified Medication Aide class is designed to prepare student to learn, earn knowledge, and skills to qualify and receive CMA certification Oklahoma. The Certified Medication Aide program is composed of class lectures, clinical hours, and skills lab hours. We offer Certified Medication Aide program Monday-Friday, both morning classes and evening/night classes. We also offer CMA weekend classes. 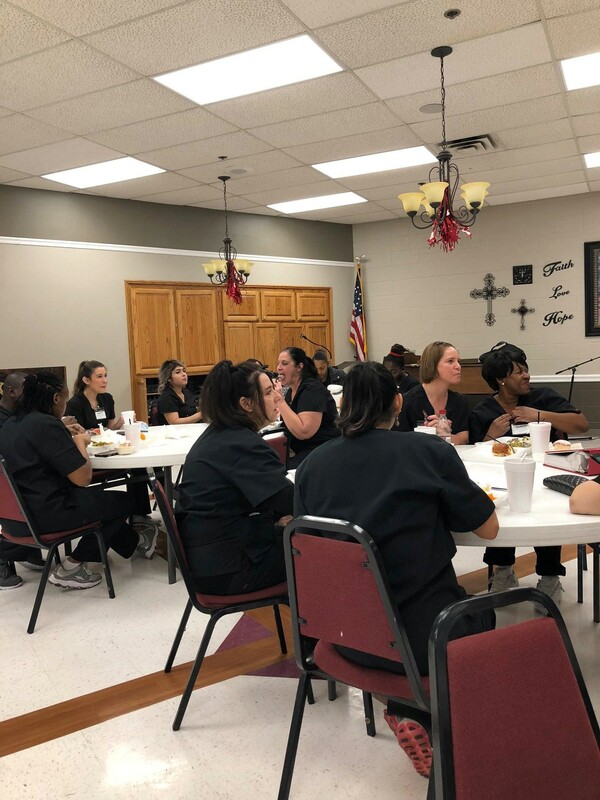 To become a Certified Medication Aide in Oklahoma, students must score 100% on Medication pass to 20 residents, and also pass Oklahoma State CMA written exam. This CMA Update course provides a Certified Medication Aide in Oklahoma with annually 8 hours of required continuing education unit (CEU). The annual CMA Update is required by Oklahoma State Department of Health-Nurse Aide Registry to enable the Certified Medication Aide to renew the CMA certification every year. Our Certified Medication Aide Update (CMA Update) is offered several days in a week in our Oklahoma City Campus. The CMA update program is approved by Oklahoma State Department of Health Nurse Aide Registry. The Advanced Certified Medication Aide (ACMA) class, focuses on administration of Respiratory medications geared towards treatment such as inhaler and/or nebulizer under the supervision of a licensed nurse. The course also trains the student to be able to administer medications and nutrients through a Peg-Tube, Oralgastric or Nasogastric. Our ACMA Respiratory and Gastro course is a 16-total hour course. 10 hours classroom and 6 hours practical training. 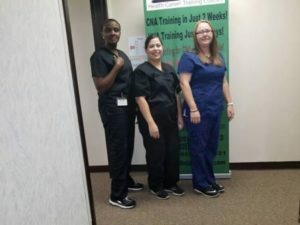 The course requires the trainee to be a CNA for at least 6 months and have a current CMA certification, prior to applying for the ACMA program. This ACMA class (Respiratory, Nasogastric and Gastoctomy) is offered in our Oklahoma City campus. The ACMA class focuses on Diabetes monitoring and Insulin administration. This ACMA course is composed of 16 clock hours; 12 hours classroom and 4 hours practical training. 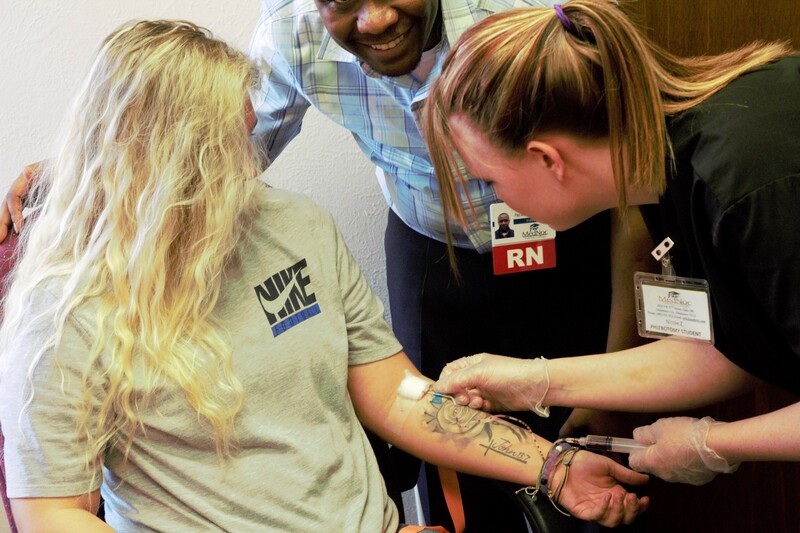 The Advanced Medication Aide-diabetes monitoring and insulin administration program will train the student on how to monitor residents with diabetes and give them insulin under the supervision of a licensed nurse. The course requires the trainee to be a CNA for at least 6 months and have a current CMA certification, prior to applying for the ACMA program. Our ACMA-Diabetes and Insulin class is offered in our Oklahoma City campus. Our Medical Billing and Coding class is a 195-clock hour course offered at our Oklahoma City Campus. The Medical Billing and Coding program offers knowledge and skills needed to solve insurance billing, needs, and problems either manually or electronically. In this program you will learn how to file claims for payment of services provided by doctors, providers, dentists and hospitals. The Medical Billing and Coding class also teaches students to complete common insurance forms, trace delinquent claims, appeal denied claims, and use generic forms to streamline billing procedures. Welcome to our premier Medical Coding and Billing school in Oklahoma. 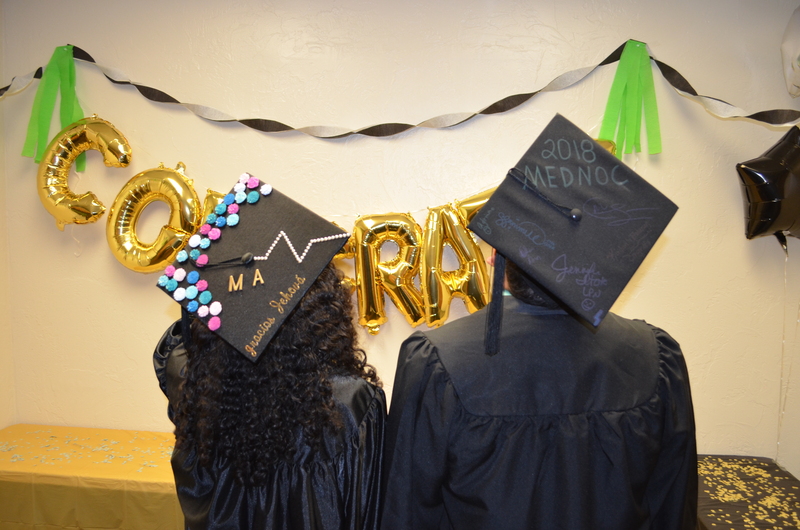 After you complete your Medical Billing and Coding program, you will sit for National Certification Exam and afterwords look for employment jobs and career as a Medical Billing and Coding Specialist. Medical Assistant program at MedNoc Training is designed to be the most affordable MA course in Oklahoma and also to offer quality training in a short period of time to our students. Our Medical Assistant program is a 448 clock hour course. 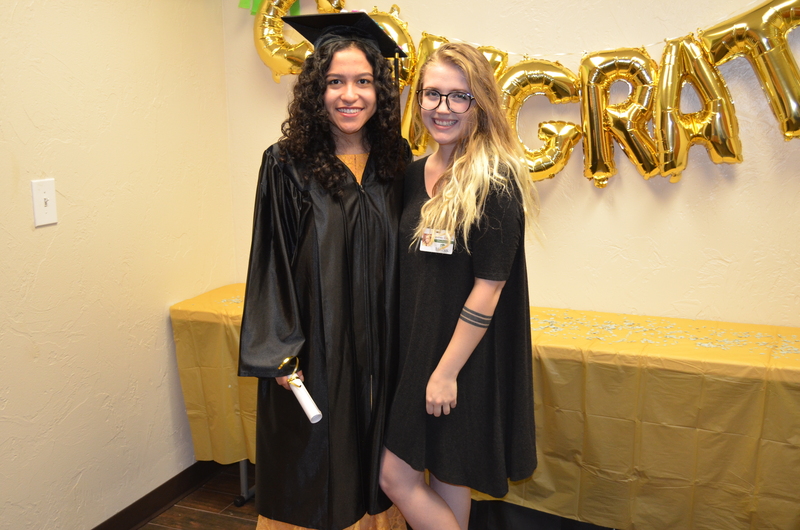 Our Medical Assistant course is be offered in our Oklahoma City campus. 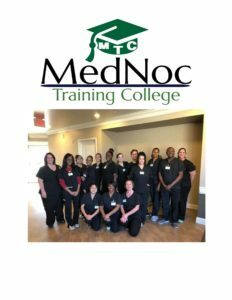 The Medical Assistant daytime class is 13 weeks, the Medical Assistant evening class is 13 weeks and the medical assistant weekend class is 18 weekends. This Medical Assistant course is designed to prepare students to learn and acquire knowledge and clinical skills required to be a Nationally Certified Medical Assistant. Our CPR training course is taught by an American Heart Association approved instructor. Cardiopulmonary Resuscitation (CPR) is a lifesaving technique useful in many emergencies, including heart attack or near drowning, in which someone’s breathing or heartbeat has stopped. The American Heart Association recommends that everyone — untrained bystanders and medical personnel alike begin CPR with chest compressions. This BLS class is an instructor led training, that includes initial BLS and BLS renewal class. 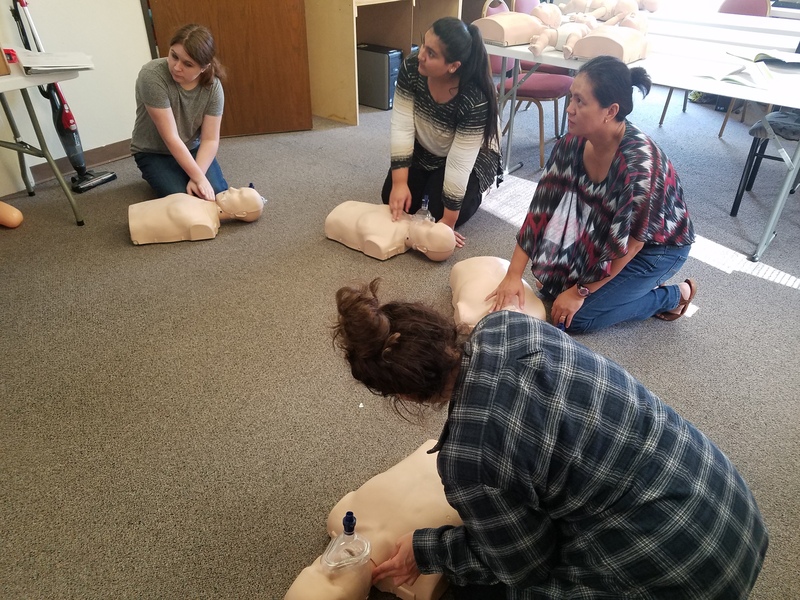 The BLS Course trains participants to promptly recognize several life-threatening emergencies, give high-quality chest compression, deliver appropriate ventilation and provide early use of an AED. In our Instructor-led BLS training course, students participate in simulated clinical scenarios and learning stations. Students also work with an AHA BLS Instructor to complete BLS skills practice and skills testing. Students also complete a written exam. Our advanced cardiovascular life support (ACLS) course is a 16 hour class led by AHA instructor. The ACLS course is only offered in class where the American Heart Association instructor who leads the course throughout the training period. This advanced course highlights the importance of high-performance team dynamics and communication, systems of care, recognition and intervention of cardiopulmonary arrest, immediate post-cardiac arrest, acute dysrhythmia, stroke, and acute coronary syndromes (ACS). For the availability if this class please call 405-225-7876. The initial PALS training is a two day class composed of 16 hours. The PALS course is led my American Heart Association instructor. We also offer PALS renewal. Our Pediatric Advanced Life Support course teaches a systematic approach for treating emergency situations involving infants and children that often require resuscitation. In this PALS course we utilize the learning information, created, and designed by the American Heart Association (AHA). 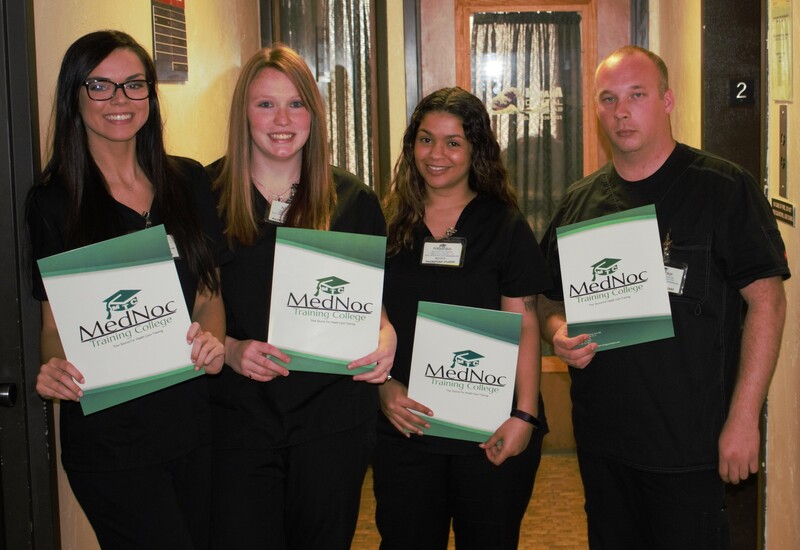 MedNoc Training College Prides itself in the success of our students! At MTC, we understand the importance of receiving quality training, and your career needs. We know that you deserve the best training to adequately prepare you to meet the challenges of a career in health care. For these reasons, we recruited the best and most qualified teaching staff and employed a wealth of resources in order to meet our commitment to serving you and helping you meet your education needs. 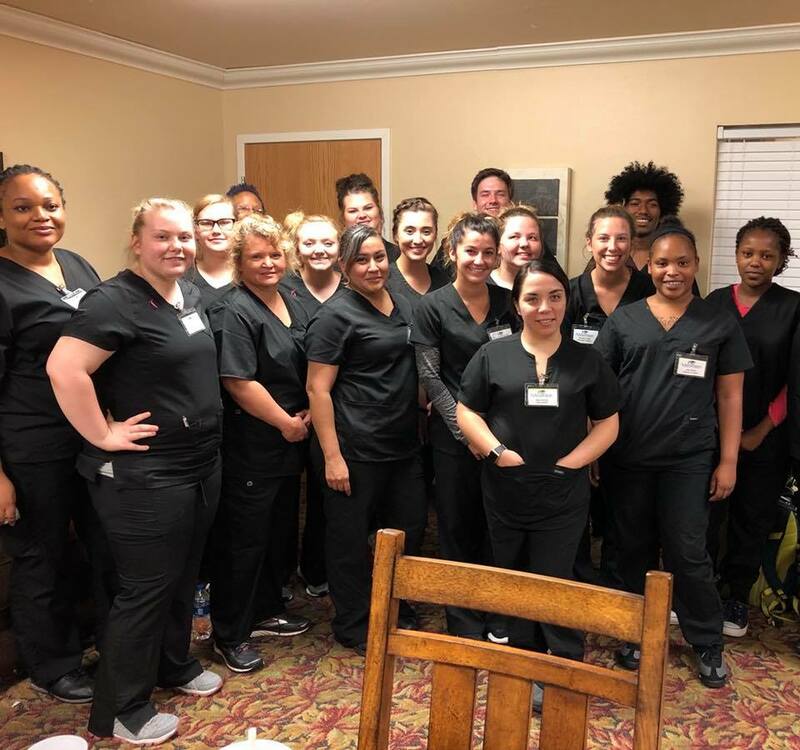 We have partnered with some of the best facilities in Oklahoma to be our clinical sites, These facilities include Nursing Homes, Assisted Living, Hospitals and Pharmacies, where our students attend clinical training. All our training courses are composed of class hours, lab hours and clinical hours. We have also equipped our lab with modern equipment, technology, and computers to help our students with their learning. All our programs are approved. Our CNA, HHA and CMA courses are approved by Oklahoma State Department of Health- Nurse Aide Registry. 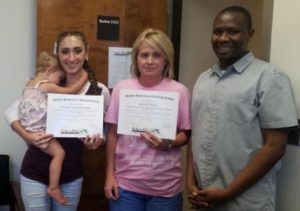 Our MAT program is approved by Oklahoma department of Human Services. 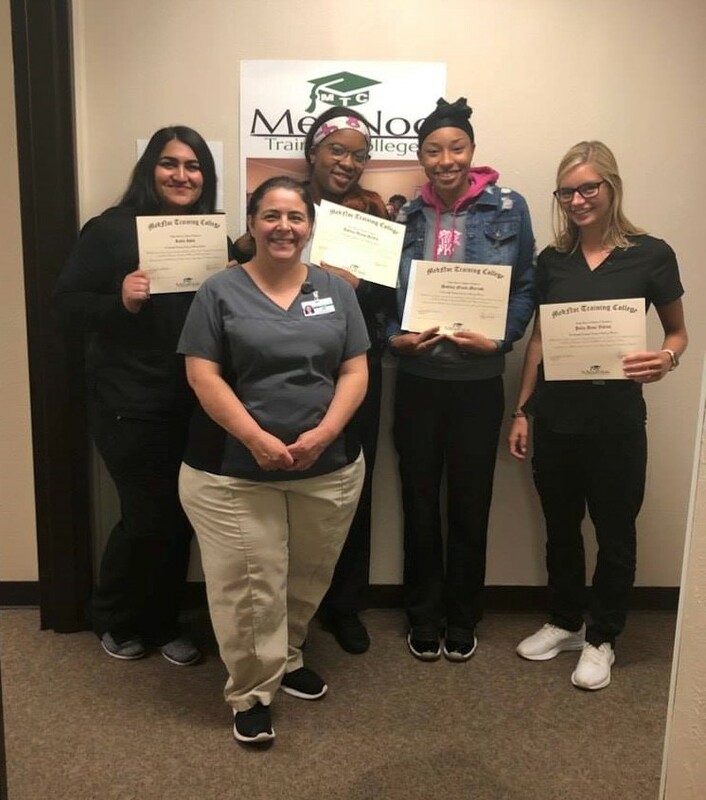 Our Pharmacy Technician program is has partnered with The Pharmacy Technician Certification Board and The National Healthcareer Association to offer National certification for our pharmacy technician students. Our Phlebotomy program has also partnered with The National Healthcareer Association to offer the National certification. MTC is also an approved testing Center for certification Exams. We provide Oklahoma CNA state testing, Oklahoma HHA State testing and Oklahoma CMA State testing. 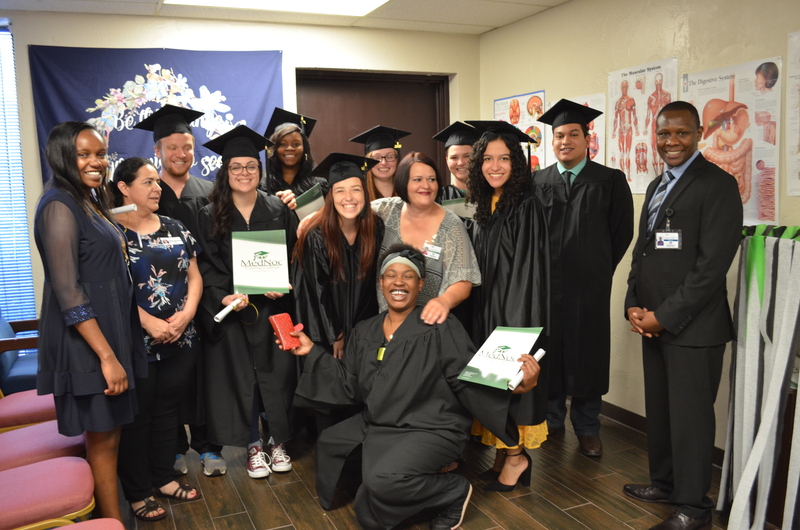 Want to receive the latest news regarding upcoming classes and financial assistance? Sign up for our monthly e-newsletters.